A former Director of UBC Athletics and renowned hockey coach is getting recognized with the Order of Canada. Dr. Bob Hindmarch, UBC’s most successful hockey coach who also spent four years at the helm of UBC Athletics initiated the idea of athletics exchanges between UBC and Asian countries. His roots at UBC go far beyond that, though, as UBC Athletics' outlines. Throughout his UBC student-athlete career, Hindmarch was a member of the basketball, baseball and football team on campus. In the 1952/53 season, he co-captained the Thunderbirds football team. He was awarded the Bobby Gaul Award for outstanding athlete in performance, leadership and performance that same year. He joined UBC as an instructor and assistant football coach in 1955, beginning his long career through the UBC Athletic department. 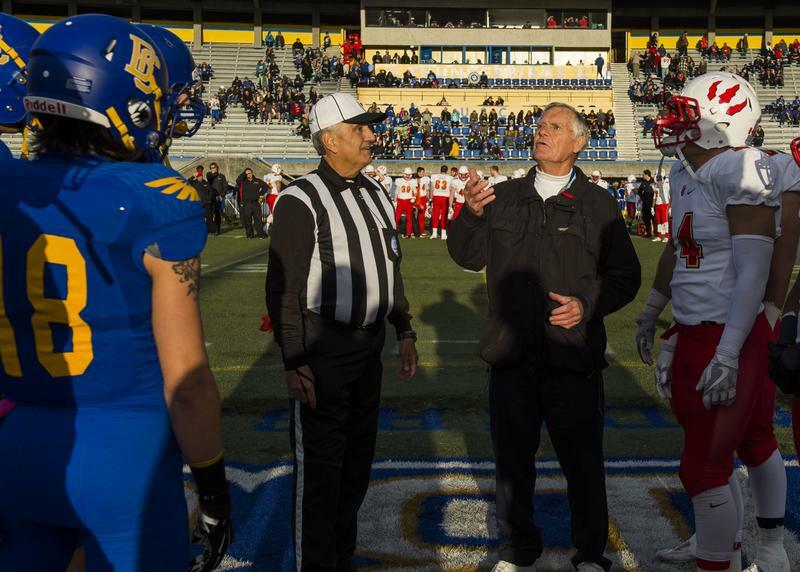 In his time with UBC, he helped coach basketball, baseball and football on campus. He was appointed an assistant professor in physical education in 1961 and a full professor in 1974. Hindmarch was the head coach of the men’s hockey team for 12 seasons beginning in 1964 — he recorded 214 victories throughout his term. His team was also one of the first Canadian rosters to tour China. In 1980, Hindmarch was named Director of Athletic and Sport Services at UBC, and served for four years in that role. Beyond UBC, Hindmarch was the general manager and assistant coach for the Canadian Olympic hockey team for the 1964 Games. He also acted as vice-president of the Canadian Olympic Association for 16 years, among other roles. He was inducted into the BC Sports Hall of Fame in 2009 and has received the Order of British Columbia. Further accolades include a place in the UBC Sports Hall of Fame and the British Columbia Hockey Hall of Fame. He will accept his Order of Canada insignia later this year.